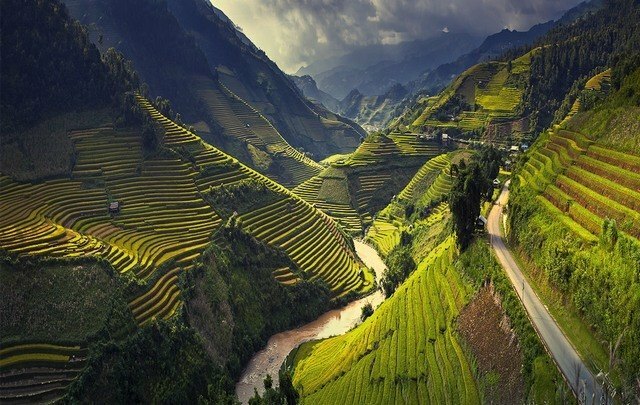 Ho Chi Minh – Hanoi route : full information about transportation, all ways, roads and transportation suppliers from Ho Chi Minh to Hanoi and Hanoi to Ho Chi Minh. There are 19 flights from Hanoi to HCM everyday. It take you around 125 minute. The first start at 5:55am and the last flight at 21:40pm. There are 20 flights from HCM to Hanoi everyday. Every from 30 minutes to 1 hour have 1 flight. From Hanoi to Ho Chi Minh: the first start at 5:35am and the last start at 22:40pm. Ticket fare from 50 USD (1 050 000 VND) to 150 USD (3 150 000 VND) depend on time you book. + 32 Tran Hung Dao St., Hoan Kiem Dist. + 80 Ly Thuong Kiet St., Hoan Kiem Dist. 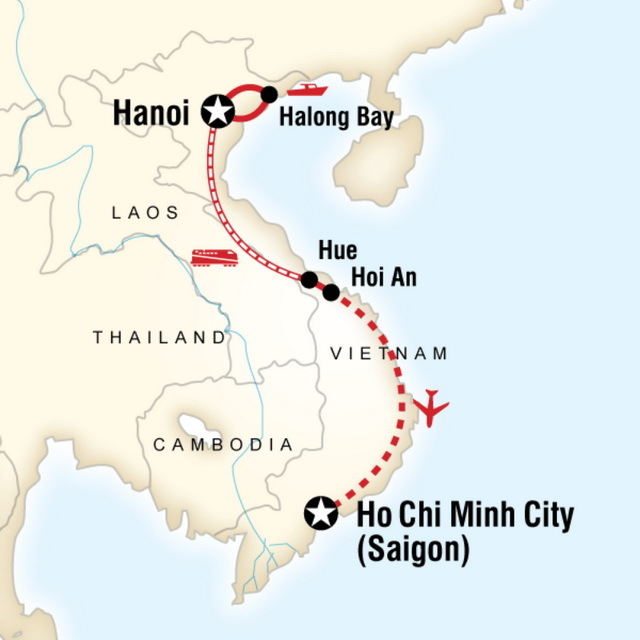 There are 9 return flight Hanoi – Ho Chi Minh city everyday. From Hanoi to Ho Chi Minh: The first start at 6:05am and the last start at 22:25pm. From Ho Chi Minh to Hanoi: The first start at 6:00am and the last start at 21:25pm. + Domestic Departure Terminal, Noi Bai International Airport, Soc Son Dist. + International Departure Terminal, 2nd floor, Tan Son Nhat International Airport, Tan Binh Dist. 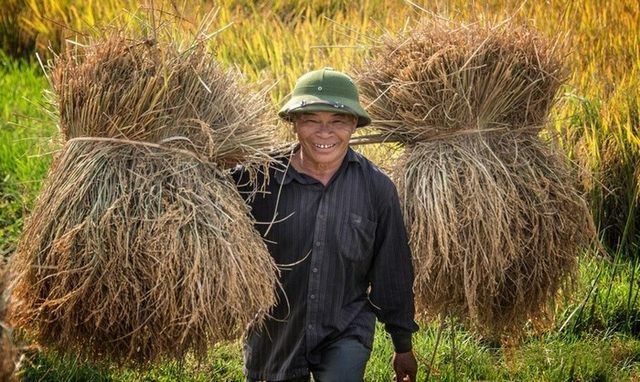 There are 5 return trains Hanoi – Ho Chi Minh City everyday. Train number: SE1 to SE8, TN1, TN2. It take you around 34 hour. 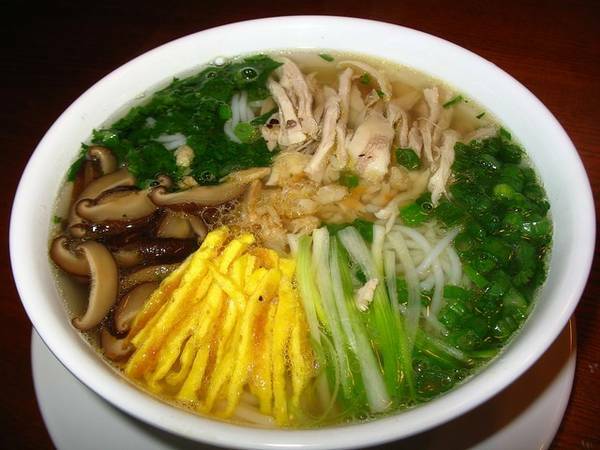 Ha Noi: 18 Le Duan st, Kham Thien town, Dong Da district, Hanoi. HCM City: 01 Nguyen Thong st, 9th town, district 3, HCM city. From Ho Chi Minh city to Hanoi city around 1727 km, it take around 37 hour. There are so many bus company but we would like recommend 2 high quality bus company for traveler who would like to visit HCM city by bus. Nuoc Ngam bus station, Phap Van st, Hoang Mai district, Hanoi. Giap Bat bus station, 873 Giai Phong st, Hoan Kiem dst, Hanoi.